Cherry blossoms, Wagyu (Japanese beef), the castle-enjoy everything we have to offer you! Here we introduce the traditional cakes, food and sake, etc. 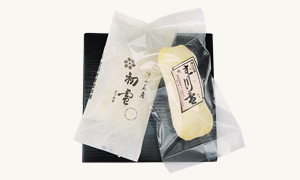 that are specialty products of Tsuyama. 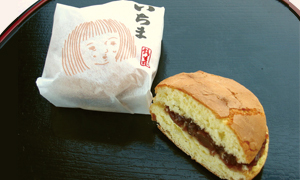 “Ichima” is Dainagon adzuki beans sandwiched in castella cake and named after Ichimatsu ningyo (traditional Japanese dolls). 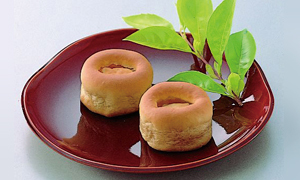 Steamed buns with a white bean paste filling that are flavored with the yuzu (citron) grown in the north of Okayama Prefecture (Mimasaka region). Manju (steamed buns) flavored with brown cane sugar with a not-too-sweet bean-paste filling. 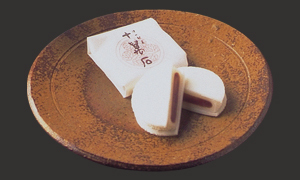 Traditional cakes made from glutinous rice grown in the Tsuyama region. 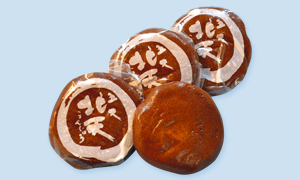 Rice cakes with smooth adzuki bean paste filling sandwiched in thin Kyo-hu (Kyoto style wheat gluten) slices. 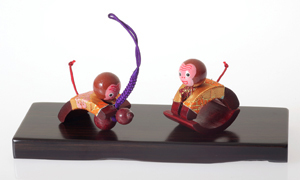 These are Tsuyama’s hand-made local toys. The bamboo monkeys are loved as guardian deities for sound health and raising children. 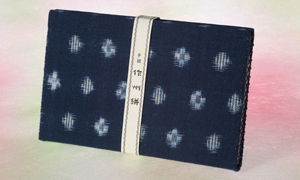 The simple patterns in indigo and white are a characteristic of this kasuri which was developed in the castle town Tsuyama. 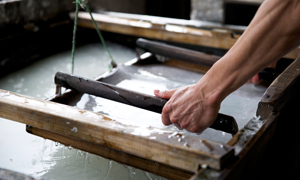 This is a hand-made Japanese paper made from the Mitsumata plant and known as a high-quality hakuaishi (thin paper used between gold leaves for storage). This yam which grows in the wild is known as the “mountain medicine” in herbal medicine and is said to be good for health maintenance. 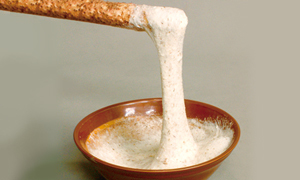 They are featured in events such as the Wild Yam Festival, yam digging and tasting parties. 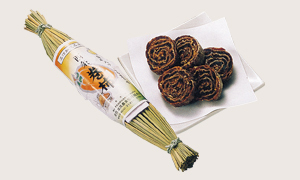 These are a luxury Japanese confectionary that are made by opening a dried Saijo persimmon, adding citron and rolling it. 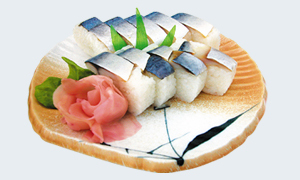 Sushi with a thick piece of mackerel are a traditional food in the Sakushu area. Plum products such as dried plums, jam and jelly, etc. made in the factory located in Ume-no-Sato Park. 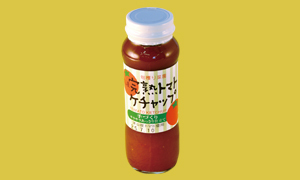 Freshly-picked, fully-ripened Momotaro tomatoes which are grown in Tsuyama are carefully pureed, and mixed with some spices and a little sugar to make a tomato ketchup which retains the flavor of its ingredients. 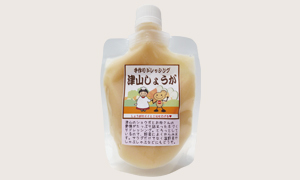 A hand-made dressing made from generous amounts of ginger produced in Tsuyama and the affection of those that make it. 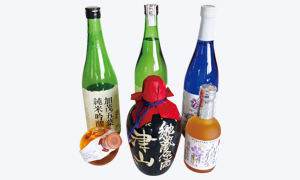 This area which is blessed with clear streams and has many sake breweries has a range of traditional local sakes. 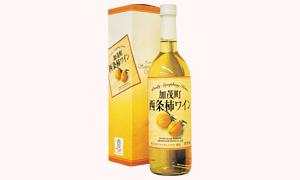 This refreshing wine is made from the Saijo persimmons grown in Kamo-cho. 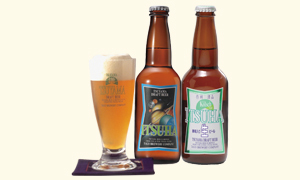 This gold-colored local beer is made from carefully selected ingredients and water from Kamogawa River which is known as a clear stream.